In the past ten years, we have seen renewed interest in Marguerite de Roberval with several modern accounts of her story. Students can read excerpts and compare and contrast these with the Renaissance versions. I highly recommend Rosette Laberge and Annamarie Beckel’s texts. 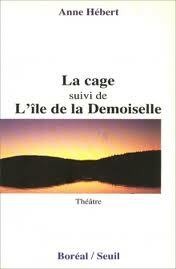 Anne Hébert’s play could also make for an interesting class activity with students acting out various scenes in groups. Shirley Barrie’s play I am Marguerite would be wonderful for a course in English. Laberge, Rosette. La noble sur l’île déserte. Éditeurs réunis, 2011. Beckel, Annamarie. Les voix de l’île. Guy Saint-Jean Editeur, 2010. Beckel, Annamarie. Silence of Stone. Breakwater Books Ltd., 2010. Glover, Douglas. Elle. Goose Lane Editions, 2003. Goodman, Joan Elizabeth. Paradise. Graphia, 2006. Goulet, Charles. Isle of Demons. IUniverse, 2000. Hébert, Anne. L’Île de la Demoiselle. Seuil, 1990. Marquis, Thomas Guthrie. A Romance of the Days of Jacques Cartier. Forgotten Books, 2012. Martin, Georges. The Legend of Marguerite. Breakwater Books Ltd., 1995. Pilgrim, Earl. 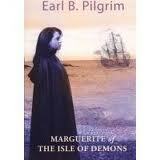 Marguerite of the Isle of Demons. DRC Publishing, 2007. 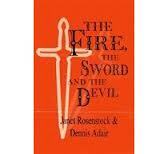 Rosenstock, Janet and Denis Adair. The Fire, The Sword, and the Devil. Everest House, 1981.